The 1976 United States presidential election in Texas was held on November 2, 1976. 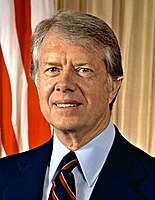 Texas was won by former governor Jimmy Carter of Georgia with 51.14 percent of the vote, giving him 26 electoral votes. He also beat the incumbent President Gerald Ford in the general election. To date, this remains the last time that a Democratic presidential candidate won Texas. Carter’s southern roots as a former governor of Georgia struck a chord with many voters in Texas, along with strong anti-Republican sentiment following Watergate. Still, this was a relatively weak performance for a victorious Democratic candidate in Texas, and two factors can be identified. One was Carter’s underwhelming performance in the more rural counties, and the second being President Ford’s strong performances in Dallas and Harris counties, and some of their surrounding suburbs. 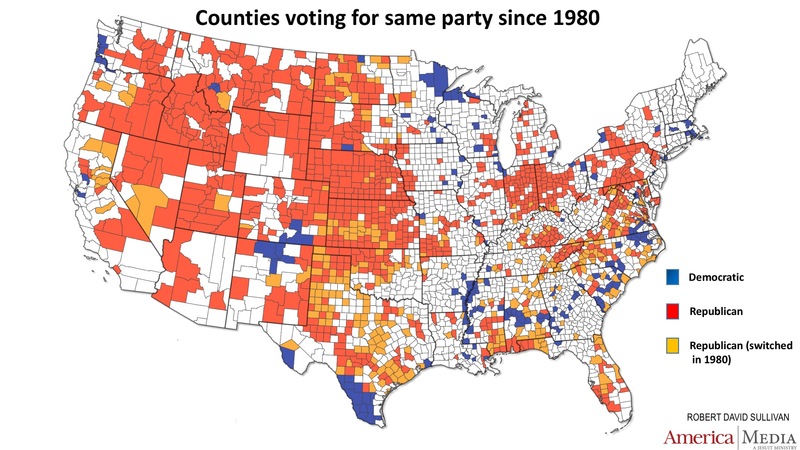 The rise of the Republican Party in these areas would result in Ronald Reagan’s win in the state four years later. Carter carried 191 of the state’s 254 counties, including seventy-four which have never voted Democratic since, namely Grayson, Chambers, Motley, Gaines, Live Oak, Mason, Sherman, Colorado, Stephens, Lamb, Oldham, Floyd, Real, Fayette, Terry, Donley, Parmer, Dallam, Moore, Hale, Wheeler, Bailey, Armstrong, Hamilton, Goliad, Carson, Childress, Collingsworth, Wilbarger, Wilson, Castro, Eastland, Gonzales, Parker, Hood, Johnson, Anderson, Brazoria, Matagorda, Kinney, Medina, Wharton, Lavaca, Archer, Bosque, Aransas, Bell, Borden, Brown, Burnet, Callahan, Cochran, Coryell, Walker, Shackelford, King, Jeff Davis, Wichita, McLennan, Llano, Williamson, Hockley, Garza, Hunt, Young, Wood, Jackson, Lynn, Howard, Ellis, and Lampasas Counties. ^ "1976 Presidential General Election Results – Texas". Retrieved April 8, 2016. This page was last edited on 11 April 2019, at 06:16 (UTC).